Demand from buyers across the whole of the UK for residential property in the middle to higher end of the Edinburgh property market has increased over the last quarter according to CKD Galbraith. During the second quarter of 2016 (AprilJune) the firm's Edinburgh office has experienced a 50% increase in the number of property sales compared to the previous quarter and a 19% increase in the supply of high quality homes. Viewings have risen by 34% compared to the last quarter of 2016 and there has been an increase in buyer interest from the rest of the UK accounting for 50% of total sales. CKD Galbraith's figures reflect the latest trends reported by Registers of Scotland where Edinburgh City recorded the highest volume of sales, increasing by 8.6% compared with the same quarter the previous year. The City of Edinburgh was also reported to be the largest market with sales of 745.7 million for the quarter, an increase of 7.1% on the previous year. The Edinburgh property market continues to show positive signs of activity and our figures for the past three months reflect the high quality stock that we have brought to the market. It is essential that properties are priced correctly and as such we are seeing a good level of sales completed at competitive closing dates. We did witness a bit of hesitancy in the prime end of the market in the lead up to the EU Referendum, however, Edinburgh is always the first area to recover after any legislative or political change. 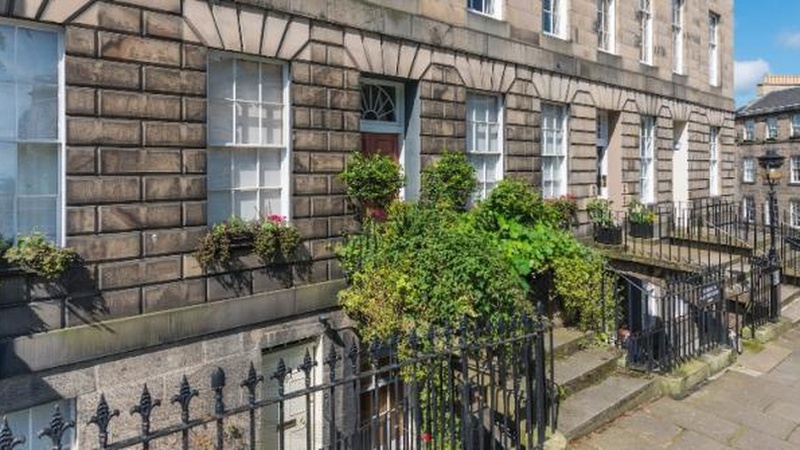 We have since received a number of prime Edinburgh instructions now that the hype of Brexit has settled down and expect these levels to convert into sales and competitive offers throughout the rest of the summer months. A recent example of this is 54 India Street, an A-Listed main door Georgian flat located in New Town which, when launched to the market through CKD Galbraith's Edinburgh office, generated a high level of interest with six viewings arranged in the first three days of marketing.